Directed by Tomasz Gubernat (13.25 min) A Polish dance instructor trains a group of adolescent students in the art of traditional Polish dance. Directed by Agata Zych (6.38 min) An affectionate portrait of a man enjoying an everyday conversation surrounded by his favorite things. Director will be available for Q&A after the program. Directed by Sarah Gampel (13.40 min) An autobiographical animation of a fateful bus trip through Israel, charting the personal and political explorations of a young Swedish filmmaker of Polish descent. Directed by Sara Divjak (6.25 min) A young woman is moving out of her apartment, but is suddenly overwhelmed by a literal flood of thoughts and emotions. Directed by Kamila Dydyna (8.58 min) Inspired by a true story, this Irish short film addresses the subject of domestic violence through the eyes of a 9-year-old child who must decide her future. Directed by Marcin Podolec (10.41 min) A spoken word artist turns his demons into poetry. Directed by Martin Rath (16.00 min) A group of incarcerated men and women participate in a series of scenarios and role-playing exercises, revealing the complexity of their personalities and troubled pasts. 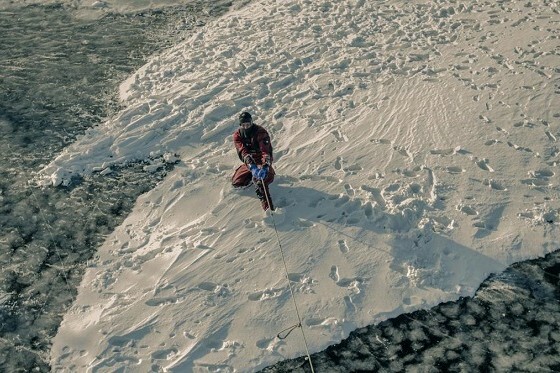 Directed by Paulina Skibińska (14.40 min) A poetic documentary told from the point of view of a group of rescue divers, crossing the boundaries of air and water, land and ice.